The most miraculous bond between our Creator and humanity is described in Genesis 2:7, “And the Lord God formed man of the dust of the ground and breathed into his nostrils the breath of life; and man became a living soul.” The matrix of the human body was designed to breathe in vital life which is much more than oxygen. The best description of this vital life comes from the Sanskrit word prana, Pra means ‘first’ and na means the smallest unit of energy. So the breath of life God breathed into us is the primal vital life energy which fills and gives life to the entire universe from microbes to galactic suns. Breath or vital life is not the air we breathe, although the air we breathe is inseparably within it. The breath we feel moving in and out of our nostrils and lungs is an outward representation of the cyclical vital energies flowing within and without the body and its atmospheres; pranic breath is much more subtle and refined than air. The whole universe is comprised of vital life energy; it is the life force which vitalizes all living, breathing forms of life. When God breathed into our nostrils the breath of life, we each became “a living soul” meaning that each one of us became an individualized, breathing being. Our living soul is breath and form; the active aspect of the soul is breathing and the passive aspect is its form. This form carries the history of our individual, eternal journey through life. The living, breathing soul is the eternal part of our Self and it perfectly reflects who we are. Conscious, focused breathing, practiced to still the mind and body, has the potential to awaken one to their eternal soul. The reason I refer to this practice as conscious, focused breathing is one must be conscious of the breath, but also one has to remain focused on keeping the breath connected and following it through the body; this will be explained. It is the goal of conscious, focused breathing to relax the energies of the body by slowly releasing unconscious tension, anxiety, fear, pain, and uncomfortable memories. A gradual whole-body healing begins with the subduing, smoothing and refining of the physical breathing which, in turn, changes the cellular structure of the body with each deep, peaceful breath. Control of the physical breathing is the beginning of purging the body of its fears, anxieties, misconceptions, and impurities. Proficiency in the breathing technique needs to be achieved before entering into the stages of meditation. As breathing becomes refined, smooth and effortless, the body/body-mind will feel increased light and vital energy, and negative energies will be neutralized; this brings about a natural harmony, peace and stillness not felt before. Ironically, after nearly 50 years of meditation practice, when people ask about meditation, these days I find myself telling people, “Just learn the discipline of breathing and the rest will fall into place.” It really is that simple! The vital life breath is what links our bodies to life and to consciousness. In addition to this, light and breath builds, sustains, and animates our bodies so consciousness can be experienced, yet most people are totally unconscious of their breathing; they think of it as a biological, oxygen-pumping function only. 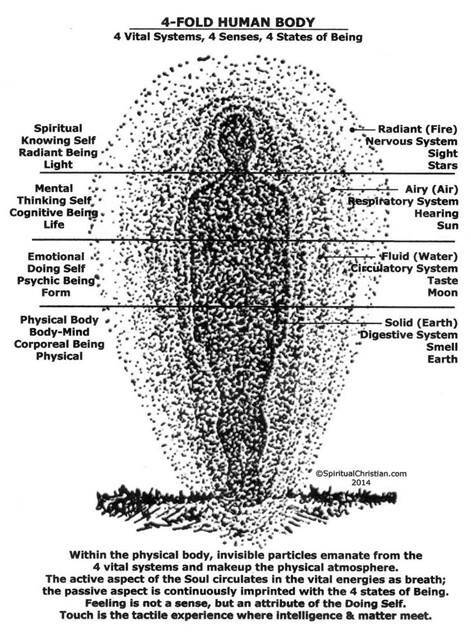 Like all living creatures, the human body can live without being conscious of breath, but conscious, focused breathing is the key to a healthy body, to the recognition of our psychological/spiritual potential, and to realization of the sacred Self within. In the practice of breathing, when one achieves a smooth, focused breath, the body relaxes, the emotions become quiet, the psychological awareness strives for balance and homeostasis, the mind is focused, and the spiritual nature begins to shine within. Aside from restoring health to the body, consider the psychological benefits of committing to a daily practice of breathing – first will be the development of self-discipline by committing to a regular schedule and sticking to it; second will be the incentive to take responsibility for your life as personal self-awareness expands; third as the practice of focused breathing continues, the power of self-control emerges; and fourth, with correct breathing comes deep peace, and from this self-reflection awakens. Self-reflection is a divine gift that is given to those who love the light; it happens in a quiet contemplative state when we turn the light back upon ourselves so we can reflect upon who we truly are as a living soul. Simply developing the rudimentary characteristics of self-discipline, self-responsibility, self-awareness, self-control, and self-reflection will empower a person and totally transform his or her life experience by revealing the higher qualities of life we all have within. In the process of living, much of our conscious light is lost in the world through our attachments to the things and people with whom we are involved as well as from undisciplined, erratic thinking, and volatile emotions. When undisciplined thinking, daydreaming, and worry carry the mind off into imagined situations, notice how the breath is adversely affected and responds with rapid, erratic, and shallow breathing which corresponds to the imagined concerns or fears. The body responds to real or imagined fear, worry, or desire as being the same which automatically triggers the breathing. When our mind is projected into the world or drifts away in passive thinking, it carries our breath with it; thus, under these circumstances, it is not possible for one to be in the present moment. To be in the present moment, we cannot allow for this kind of thinking from the “chattering mind” of the ego/personality to become involved in the focused breathing exercise; do not allow the ego-personality to enter, speak, or disturb this process. Become an impersonal point of observation, focusing entirely on the breath and keeping the bodily impulses, aches, itches and sleepiness at bay. Gradually, there will be moments of stillness, lucidity, and focus followed by minutes of the same. Practice until this state can be maintained with effortless effort. With disciplined effort, focused breathing begins to withdraw our personal power from the world of nature and the influence of the ego/body-mind and return it to us as increased awareness, assurance, and vitality. As power is withdrawn from the physical, sensual realm and turned within, the breathing becomes smooth and regulated which awakens the higher levels of consciousness and revitalizes the physical body. Our reclaimed spiritual light initiates the process of healing the body, dissolving darkness and anxiety, reorganizing and healing the cerebral neurology, and filling us with light and peace as well as expanding our conscious awareness. Practicing this exercise daily begins to alter the consciousness, making it focused, resilient, patient, positive, disciplined, strong and persistent. As consciousness changes for the better, conditions like anxiety, stress, craving and related pain are literally dissolved from the body. In other words, as a result of practice and increased realization, we become less emotionally volatile, more balanced, patient, fearless, serene, confident, courageous, and accepting of the future. This inner serenity creates the condition in which negative patterns can be easily neutralized, dissolved, and eliminated from the body/body-mind and this, in turn, compels the nature-matter of the body to change accordingly. The embryonic in-breath draws in the same vital life the Creator first breathed into our nostrils. This process spiritualizes the matter of the body, turning nature-matter into intelligent-matter or vital life into vital light. This is what Christ refers to as the regeneration of the body and soul. The “new wine in the new wineskin” is being prepared. If possible, it is important to have a quiet space, a comfortable sitting position, and a set time period for practicing conscious, focused breathing. Relax the body and sit up straight so the body is comfortable. The thumb and first two fingers of each hand may touch or the palms may rest together to create a circuitous path for energy to flow. Follow the breathing for a moment or two and continue to relax the body. Notice that there is a slight pause at the beginning of each inhale and exhale. After a few breaths, eliminate this pause so the breathing is connected, in other words, there are no pauses; let the out-breath seamlessly emerge from the in-breath and visa-versa. The use of connected breathing seals the body off from the intrusion of the elemental energies of nature which enters the involuntary nervous system during the pauses in breathing. This nature energy plays along the involuntary nervous system stimulating the senses, creating sensation, and inducing mind-chatter. Connected breathing prevents stimulation to the body and senses allowing for improved concentration. Practice connected breathing until it feels comfortable. Try to keep the mind quiet; learning to direct one’s attention and hold it to a singular subject is the key to success. When this stage of the breathing process is relaxed and comfortable, the next step is to begin each new in-breath from the center of the body. This is the area behind and slightly below the navel, between the navel and the spine in the center of the body (at the level of the bottom line in the diagram below). This energy center behind the navel is where embryonic breathing takes place when a baby is in the womb. The embryo pulls nourishment from the mother through its umbilical cord which feeds the body through the navel. After birth, infants continue to breathe from the navel area because it feels natural. It is only when the consciousness awakens and begins to integrate with the sensual body that this natural breathing cycle is interrupted and breathing shifts to the lungs. The focused breathing exercise, when done correctly, will reconnect a person with this natural breathing cycle bringing a deep sense of peace and relaxation. Locate the embryonic area by finding the spot that feels most comfortable, warm, tingly, or just feels right. The breath, body, and mind are interconnected; refinement of the physical breath calms the body and stills the mind. Improved skill in this exercise will be noted as the breath becomes refined, that is, calm, slow and smooth. For many people not experienced in breathing or meditation, it is challenging at first to get the body-mind/mind to be quiet and still. The attention has been totally dominated by the ego-personality and it is not going to relinquish its hold without a fight. Nevertheless, the goal in focused breathing is to neutralize the influence the ego, the mind-chatter, the body-mind, and the emotions have on a person’s attention. In the beginning, this may mean pulling the attention away from these disturbances repeatedly until they lose their power to disrupt the focused breathing. Simply acknowledge what has distracted the focus and gently and patiently let it go while bringing your attention back to the breath. There is no exercise more important to bodily health and spiritual development than focused breathing. Ideally, practice focused breathing for 15-30 minutes upon awakening in the morning. Do the same at night, time permitting. Depending on one’s nature, a person may favor one of these periods over the other. If this is the case, shift more time to that period. As a precaution, if any discomfort in breathing or anything questionable arises, take a break. Extreme or forceful breathing can cause imbalances, so don’t do it. Following the instructions will insure that no problems occur. Use common sense.